Phazyme is the strongest medication you can buy without a prescription when you need serious relief from gas attacks. When you need serious relief, no other anti-gas medication has the highest single dose as Phazyme to relieve your symptoms of gas. 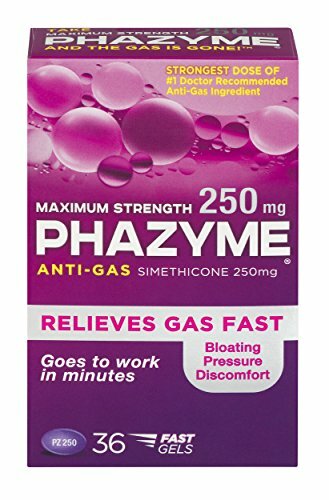 Phazyme goes to work in minutes, and is the #1 doctor-recommended simethicone anti-gas medication. Pick some up today for quick relief from bloating, pressure, and discomfort associated with gas. If you have any questions about this product by Phazyme, contact us by completing and submitting the form below. If you are looking for a specif part number, please include it with your message. (3 Pack) Dulcogas Maximum Strength Antigas Tablets, Wild Berry, 18 Ct ea.